The chip adds a layer of security to cards when used at a chip card reader. During the chip transaction, the chip produces a single-use code to validate the transaction. This added layer of security makes the chip card data much less valuable, decreasing criminals’ incentive to steal that information and their ability to make a counterfeit card. Fraud Alerts – FedFinancial will notify you in the event of suspicious activity with your account. 24/7 Fraud Monitoring – We help safeguard your account using real-time fraud monitoring. Over 130 countries around the world are already using chip technology, so your card will be easier to use outside the U.S. Plus, chip technology is becoming the standard in the U.S. Please note: When traveling abroad, it is a good idea to get a PIN for your credit card before you go. The U.S. allows for both PIN and Signature transactions however, some parts of the world use PIN base transactions only. You can get a PIN for your EMV Credit Card by calling 888-886-0083. Also, contact us at 301-881-5626 so that we can flag your account that you will be traveling out of the country. As U.S. merchants begin transitioning to chip card readers, you will notice the payment process works a little differently. Your merchant may direct you to insert your chip card until the transaction is complete. 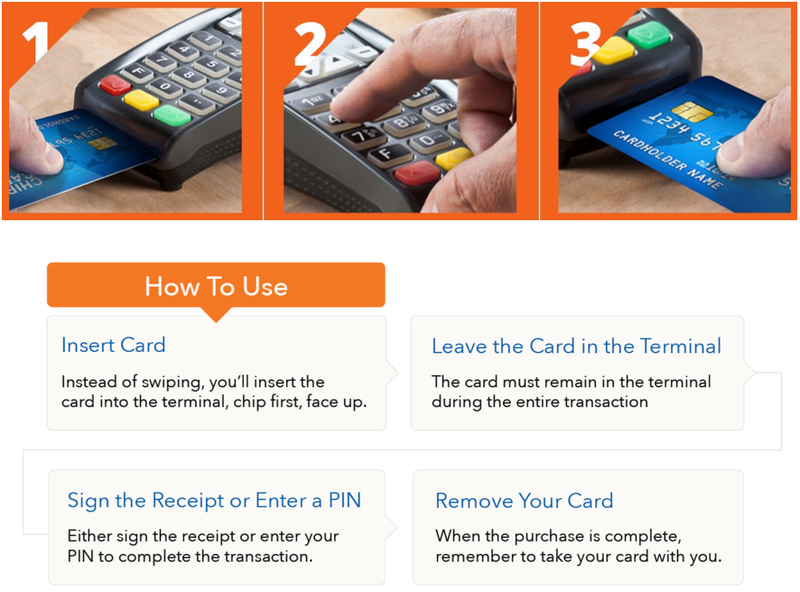 Not all chip card readers will look the same, so remember to follow the prompts on screen. If you come across a merchant who has not made the transition yet, you can still swipe your card as you do today. A chip-enabled ATM will hold your card for the duration of the transaction – so always remember to take your card when finished. If the ATM terminal is not updated with the EMV technology then you should use your card as you do today, and follow the prompts on the screen to continue the transaction. Use your card for payment over-the-phone or online just like you always have. Visa chip technology is helping pave the way for innovations like mobile commerce, helping to ensure that wherever and however you want to pay in the future is secure and convenient.